Srinetra Sterile Eye Drops provides relief to fatigued eyes and from burning and itching. It removes dust and dirt from your eyes and makes your eyes feel fresh and clear. Made with natural ayurvedic herbs, Srinetra cares for your eyes and keeps them healthy, clean and bright. 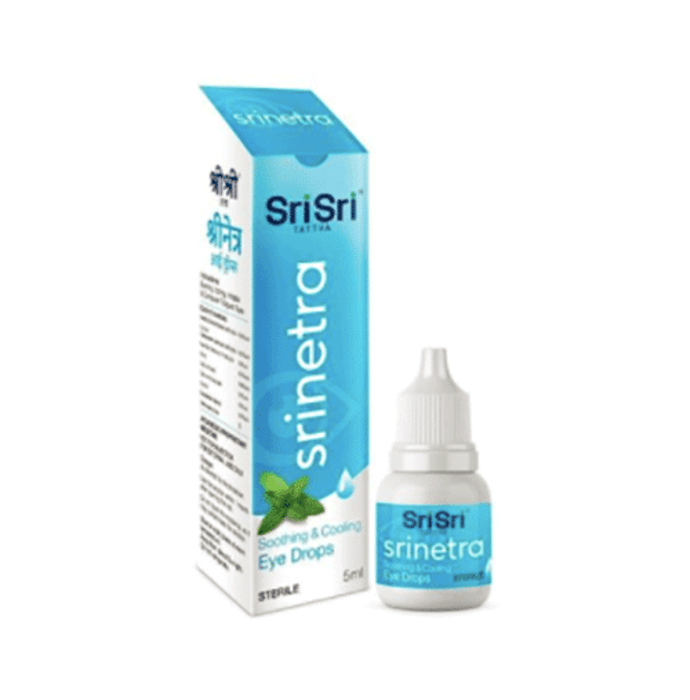 Sri Sri Tattva Srinetra Eye Drop helps protect eyes from dust, pollution and dirt and keeps them feeling fresh and clear.